There is something undeniably charming and magnetic about a rugged coastline, a precarious cliff overlooking the ocean and the vast blue beyond. 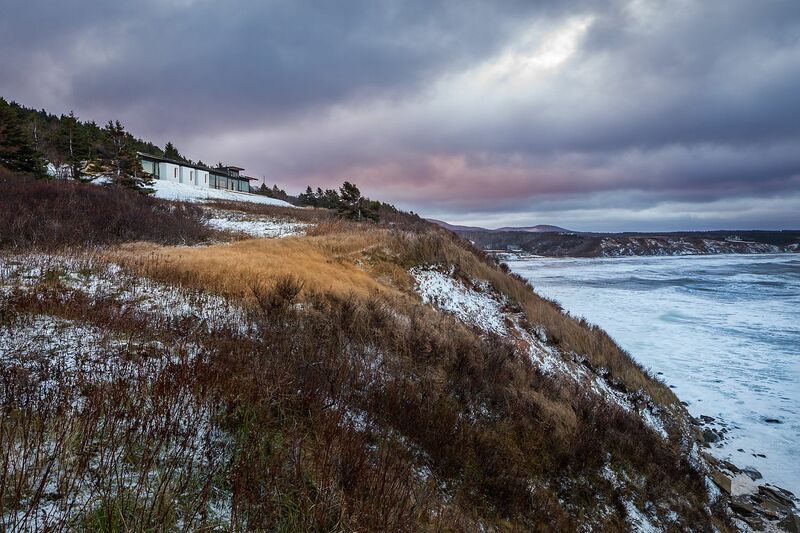 It is precisely in one such mesmerizing setting that The Lookout at Broad Cove Marsh sits in. 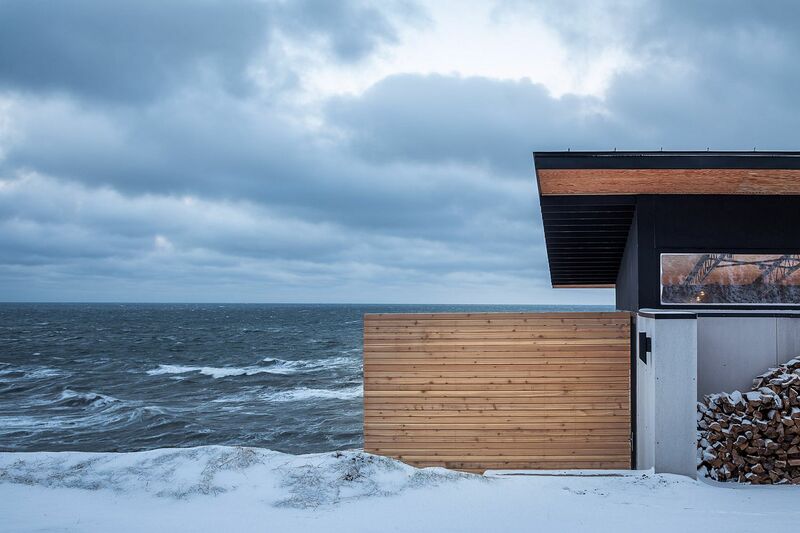 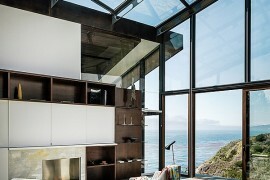 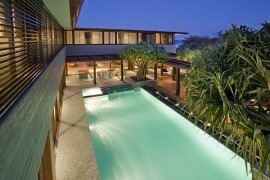 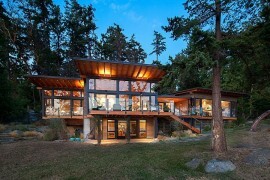 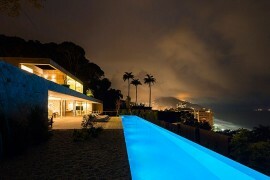 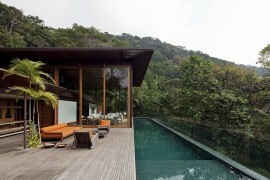 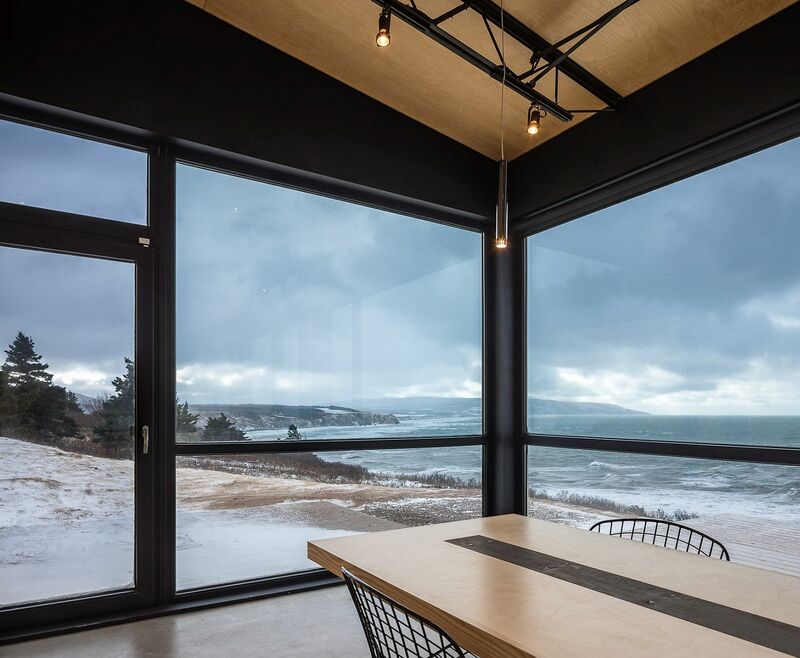 Designed to make the most of the captivating ocean views on offer even while braving the rough weather and prying eyes, this beautiful getaway was built by Omar Gandhi Architect for a married couple from Toronto. 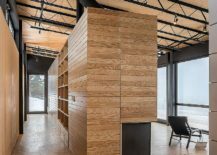 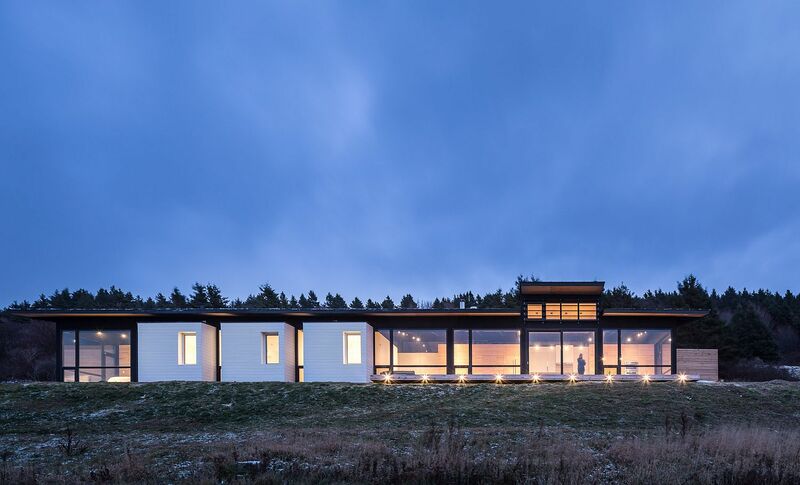 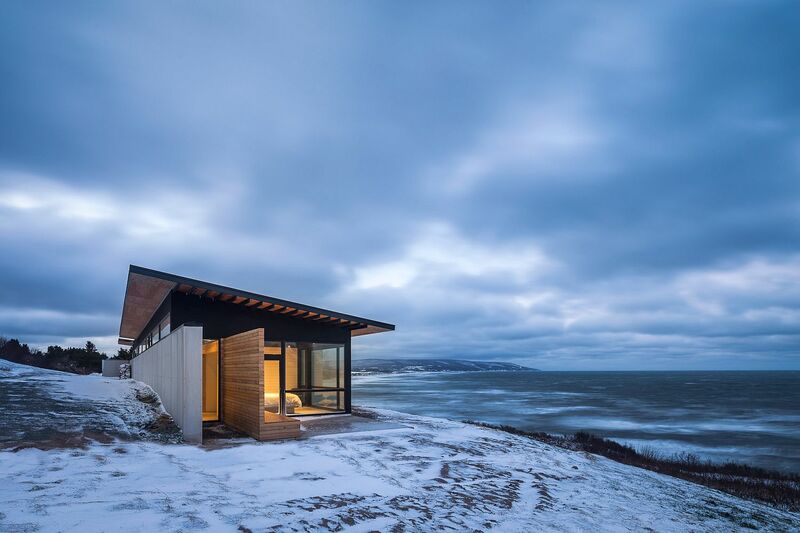 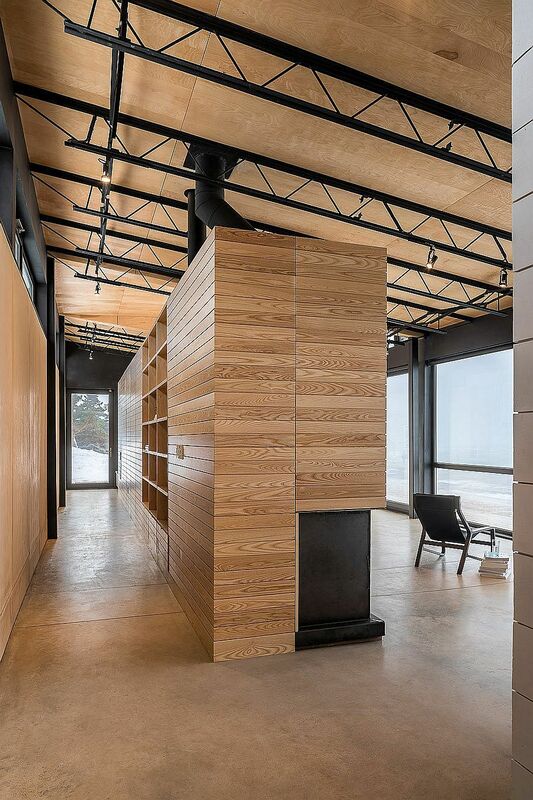 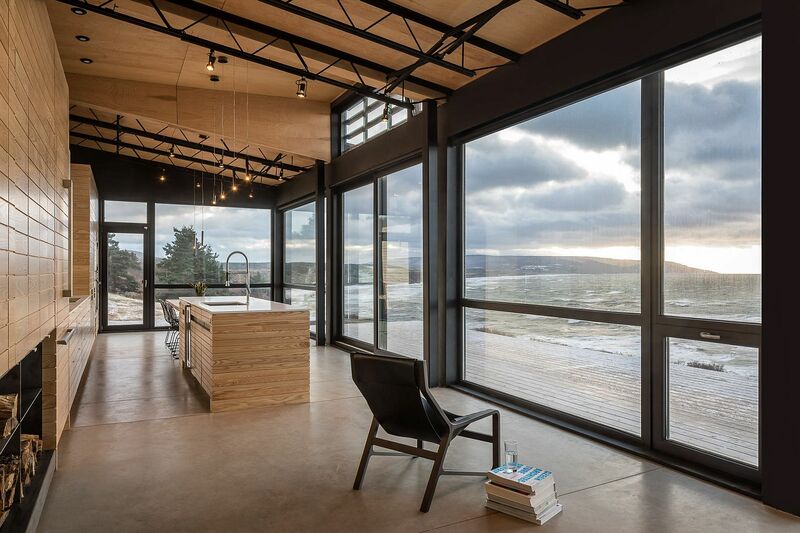 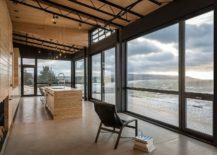 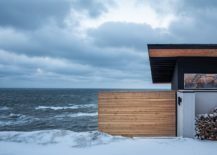 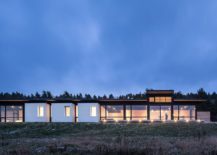 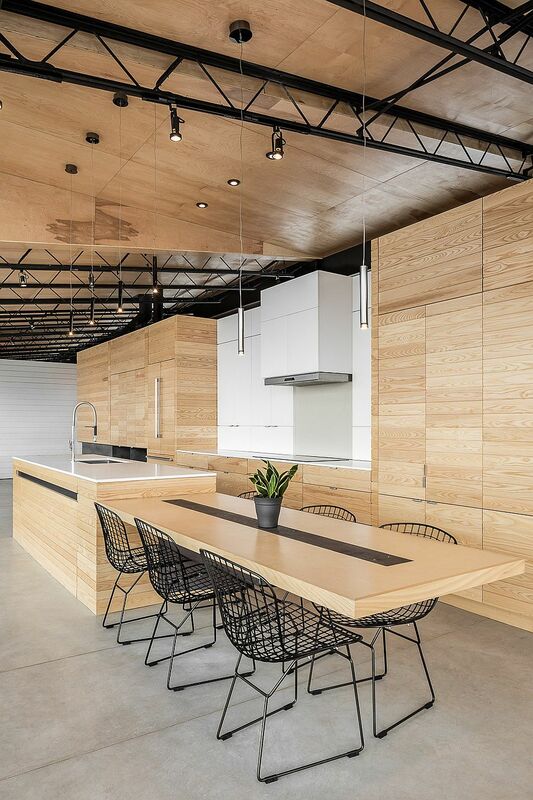 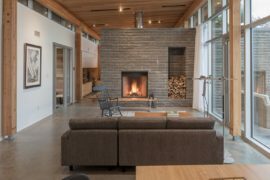 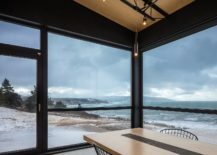 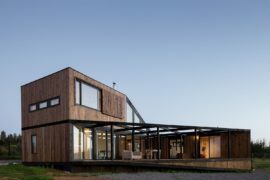 The coastal escape sits on a thin strip of land on Broad Cove Marsh Road, Cape Breton Island, Nova Scotia and it is the landscape that defines its form and the materials used. 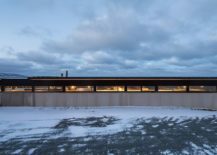 A metallic frame provides the bones for the house with custom millwork creating a warm and cozy interior that seems to visually extend outside. 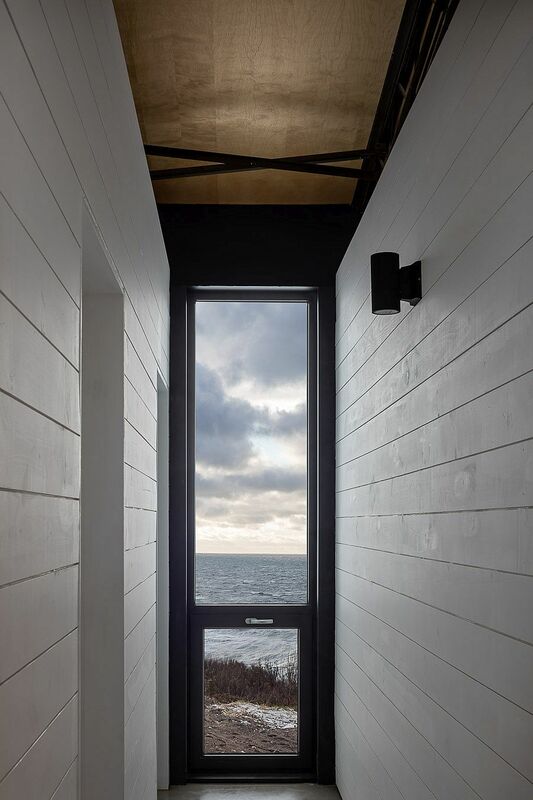 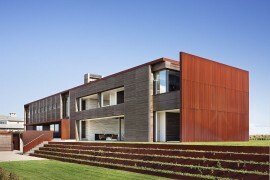 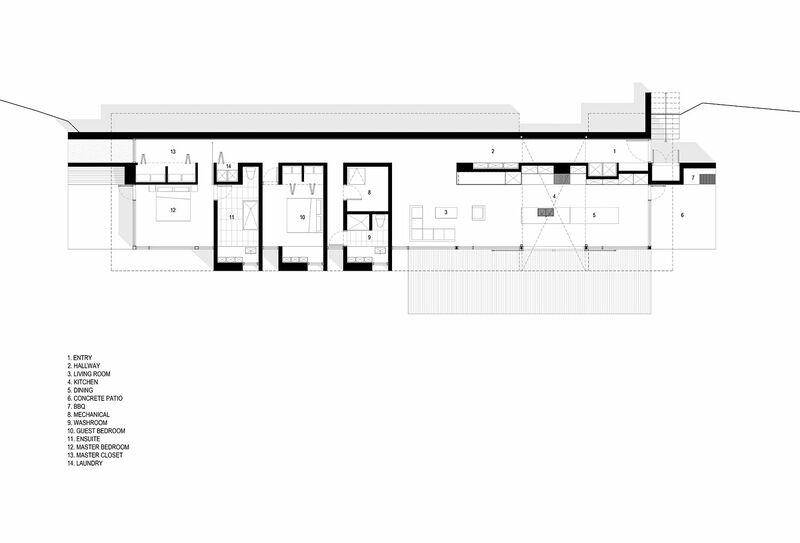 Large glass windows open up the private zones of the house to the ocean view outside while the street façade of the retreat benefits from a retaining wall that provides privacy. 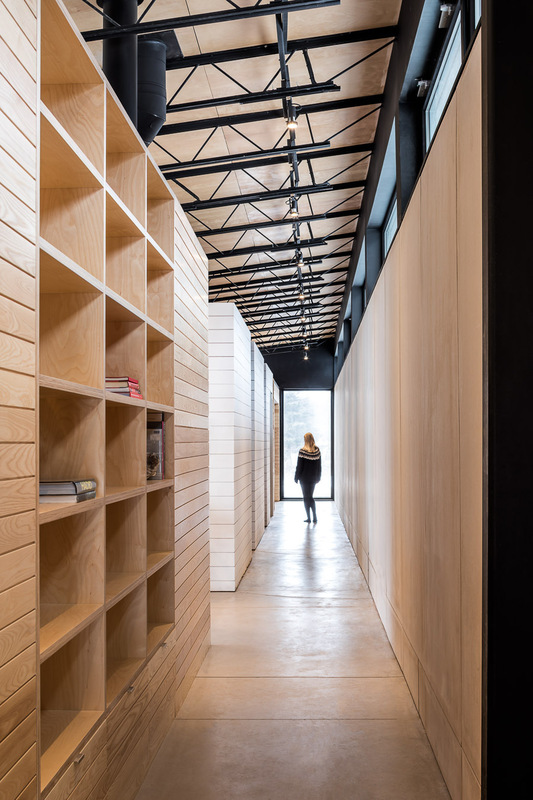 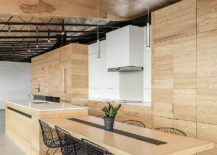 Repetitive, pod-like design of both the public and private units gives the structure a contemporary look with large walls of shelves and cabinets adding ample storage and display space.